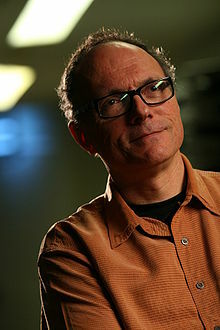 Michael L. Tolkin (born October 17, 1950) is an American filmmaker and novelist. He has written numerous screenplays, including The Player (1992), which he adapted from his novel of the same name (1988), and for which he received the Edgar Award for Best Motion Picture Screenplay (1993) and was nominated for the Academy Award for Best Adapted Screenplay. The Return of the Player, followed (2006). In 2018, Tolkin served as co-creator of the miniseries Escape at Dannemora with Brett Johnson. The series was based on the real-life 2015 Clinton Correctional Facility escape that led to a massive manhunt for two escape convicts in upstate New York. Tolkin was born to a Jewish family in New York City, New York, the son of Edith (née Leibovitch), a studio executive and film industry lawyer, and the late comedy writer Mel Tolkin. He is a 1974 graduate of Middlebury College. Tolkin lives in Los Angeles with his wife, author Wendy Mogel, and their two daughters, Susanna and Emma. ^ Andreeva, Nellie (June 2, 2017). "Paul Dano Joins Benicio del Toro & Patricia Arquette As Ben Stiller's Prison Break Limited Series Gets Showtime Green Light". Deadline. Deadline. Retrieved January 7, 2019. ^ Allen Barra[permanent dead link] "Novel: L.A.'s Scariest Product," American Heritage, Nov./Dec. 2006.